During the course of the Balkan wars the Balkan League (Serbia, Montenegro, Greece, and Bulgaria) first conquered Ottoman-held Macedonia and most of Thrace and then fell out over the division of the spoils. Tensions among the Balkan states over their rival aspirations in Roumelia, E. Roumelia, Thrace and Macedonia subsided somewhat following intervention by the Great Powers in the mid-1800s aimed at securing both fuller protection for the provinces' Christian majority and protection of the status quo. The question of Ottoman rule's viability revived, however, after the Young Turk Revolution of July 1908 compelled the Sultan to restore the suspended Ottoman constitution. 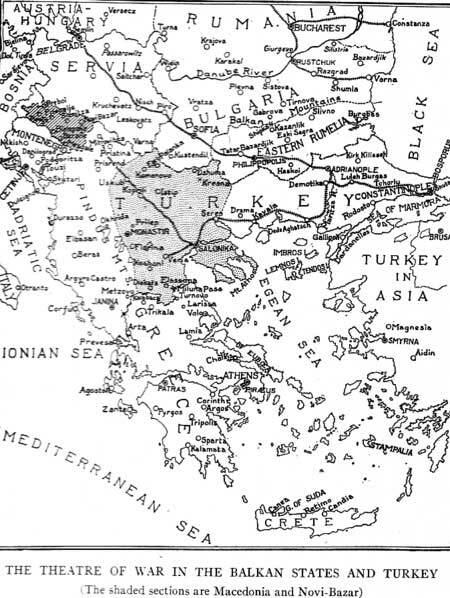 Serbia looked to Kosovo and the south, Greek officers secured the appointment of a sympathetic government which they hoped would resolve the Cretan issue in Greece's favour and reverse their defeat of 1897 and Bulgaria, which had secured Ottoman recognition of her independence in April 1909 and enjoyed the friendship of Russia, also looked to districts of Ottoman Thrace and north-eastern Macedonia for expansion. In March 1910, an Albanian insurrection broke out in Kosovo. In August 1910 Montenegro followed Bulgaria's precedent by becoming a kingdom. 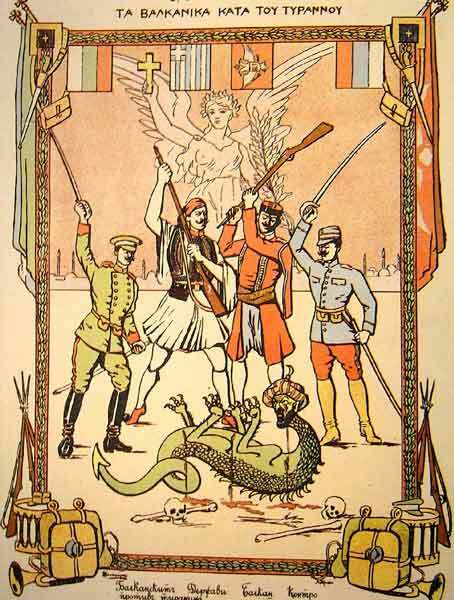 Montenegro started the first Balkan war by declaring war against the Ottomans on October 8, 1912. The Greeks took Thessaloniki, then Albania, Epirus, Macedonia and Thrace fell to the allies and the Ottomans were pressed to maintain the defense of Constantinople. An armistice was signed between Bulgaria (representing also Serbia and Montenegro) and Turkey on December 3rd. 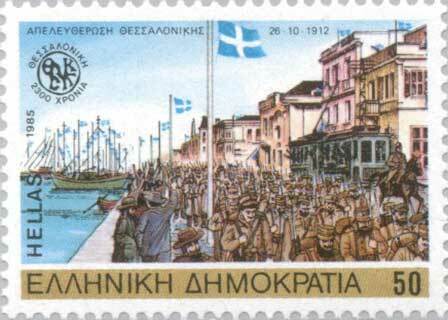 Greece continued the war alone, aiming at the capture of Ioannina, while it participated in the London peace conferences. The Treaty of London ended the First Balkan War on May 30, 1913, but disputes over territory remained unresolved. As a result, the Second Balkan War immediately followed.